Today is World Cancer Day. 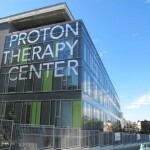 Let us debunk the myths about Proton Therapy! Today is World Cancer Day (http://www.worldcancerday.org/ ). World Cancer Day is a chance to raise our collective voices in the name of improving general knowledge around cancer and dismissing misconceptions about the disease. This year’s edition has been placed under the tagline “Debunk the myths”. 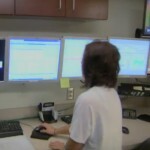 Let us do our share of the work and debunk 3 of the numerous myths about Proton Therapy. The Pediatric Proton Foundation and the National Association for Proton Therapy published in October 2013, the results of a survey on the use of proton therapy to treat pediatric cancer cases in the USA. They reported that the number of kids treated with proton therapy increased by 33% between 2010 and 2012, reaching 694 patients in the USA alone. Myth #2: Proton therapy is significantly more expensive than conventional radiation treatments. Proton therapy today costs a few thousand dollars more … initially. Following treatment, most proton patients require zero follow-up medical attention for side effects and, complications. This follow-up medical treatment after conventional radiation and surgery often costs thousands of dollars in doctor/hospital bills, medical procedures, diapers, catheters, E.D. medications, and other costs. Often this increases total cost to levels much higher than proton therapy. You can’t put a price tag on quality of life after treatment, maintaining urine control and sexual function. The chance of secondary cancers from IMRT are double that of proton. Secondary cancers cause severe quality of life problems and cost tens of thousands of dollars to treat. Hypo-fractionation clinical trials currently underway will dramatically reduce the initial cost of proton treatment in the not-too-distant future. 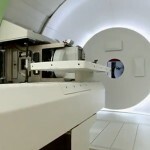 So, is proton therapy for prostate cancer significantly more expensive than IMRT? Absolutely not! Initial cost may be higher, but total cost is similar or maybe even lower. And, in the near future, even the initial cost will be comparable to IMRT. 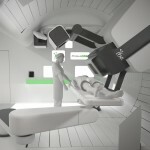 #3 Proton Therapy is not suitable for lung cancer treatment?